Valmet has signed a contract to modernize the automation systems as well as the electrical and instrumentation infrastructure of a waste water treatment plant for LondonEnergy Ltd. Located in North London, the plant is an essential part of LondonEnergy's operations for treatment of the collected waste streams from plant's various locations, allowing their discharge to the dedicated point. The order was included in Valmet's third quarter of 2018 orders received. The modernization project is scheduled to be finalized during 2019. 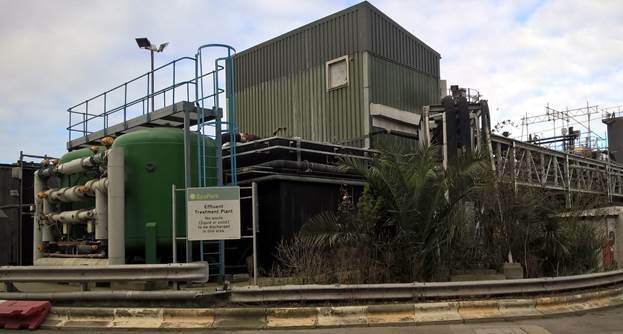 Cooperation between the two companies started in 2012, when Valmet assisted LondonEnergy with five big boilers in their waste-to-energy facility by migrating the plant's obsolete PLC-based control to Valmet DNA. Initially, a multi-year plan was performed to update the control systems in the main boiler area while offering support services for legacy third-party equipment. A more recent project included improving the safety of LondonEnergy's steam turbines by using Valmet DNA-based vibration protection and analysis equipment. "Based on a solid track record of multiple successful projects and an established reputation as a reliable supplier, Valmet was considered the best partner for this upcoming conversion project," says Jim Kendall, Operations Director, LondonEnergy. "In addition, Valmet carried out a highly detailed engineering study in advance of the project contract award, earning additional confidence from LondonEnergy. This study provided an excellent basis for scoping the work accurately, so the project could be quickly approved." The major challenge for the project is to perform the upgrade during normal operation, since uninterrupted functioning is critical for the processes of the entire facility. Therefore, changeover to the new controls must be completed seamlessly within a limited timeframe. "Valmet is very happy to once again support LondonEnergy with our retrofit capabilities. This opportunity allows our professionals to demonstrate their expertise in all aspects of generating sustainable energy. In addition, we really value our long-term relationship, especially the excellent collaboration with their plant personnel," comments Chris Heywood, Business Development Manager, Valmet. Valmet will deliver a complete electrical and instrumentation package, which includes engineering and installation work for the field boxes associated with a new motor control center, low-voltage cabling, trace heating, instrument cabling and containment, as well as a replacement of the existing PLC control system with the advanced Valmet DNA automation system. LondonEnergy Ltd, formerly LondonWaste, is a private company owned by the North London Waste Authority (NLWA). The company operates the second largest waste contract in the UK, handling nearly 750,000 tons of London's waste and recyclables annually. The company generates enough electricity to power more than 80,000 homes and diverts more than 90% of their waste away from landfill, saving nearly 300,000 tons of CO2 emissions annually. Valmet has signed a contract to modernize the automation systems as well as the electrical and instrumentation infrastructure of a waste water treatment plant for LondonEnergy Ltd.